It’s Sunday 🙂 and time for our Weekly Exams Questions with Solution. 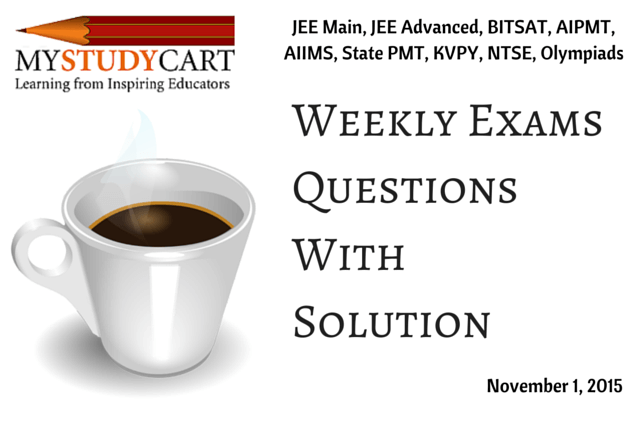 Every week from Monday to Thursday, we post questions (Biology, Chemistry, Physics and Mathematics) on our social media learning platforms for the preparation of several examinations like JEE Main, JEE Advanced, BITSAT, AIPMT, AIIMS, State PMT, KVPY, NTSE, Olympiads. For those who are not connected with Mystudycart on Social media: In-case you want real time experience of answering questions and clearing doubts, then be a part of our social media learning pages on Facebook or Google+. Endosperm is the most common nutritive tissue for the development of embryos in Angiosperms and develops as post-fertilisation structure from the primary endosperm nucleus. Coconut water is the endosperm part of the coconut plant. Amphetamine is a potent central nervous system (CNS) stimulant. It is used in the treatment of attention deficit hyperactivity disorder (ADHD), obesity, narcolepsy. Equation of line passing (0, y) and (x, 0) will be X/x + Y/y = 1. It passes (1, 1) so, 1/x + 1/y = 1 => x + y = xy. Q. 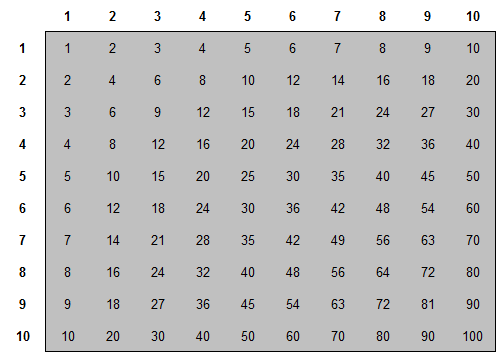 What is the sum of the numbers in the multiplication table? It’s a puzzle. You have to find the sum of numbers (in grey area) without manual calculation of adding 1+2+3…….+ 100. Hint: It’s just a 30 second solution. So, that’s it from this week. I will see you next Sunday with a new set of questions.